The men's 400-meter world record has been in almost exclusive possession of the United States since the IAAF first ratified a world mark in 1912. Seventeen of the 20 record-holders have been Americans, including some competitors who ran faster over 440 yards than anyone had previously run over 400 meters, even though 440 yards totals 402.3 meters. The first 400-meter run recognized as a world record was Charles Reidpath's gold medal-winning effort at the 1912 Olympics, which the American won in 48.2 seconds. At the same time, the IAAF recognized a separate 440-yard record set by another American, Maxie Long, who posted a time of 47.8 seconds back in 1900. Both records were broken in 1916 when American Ted Meredith ran the 440 in 47.4 seconds, establishing a mark that lasted almost a dozen full years. Emerson Spencer lowered the record to 47-flat in a 400-meter race in 1928. The 400/440 record was broken by two Americans in 1932, first by Ben Eastman, who ran 440 yards in 46.4 seconds, and then by Bill Carr, who won the 1932 Olympic final in 46.2. Eastman ran second at the Olympics, losing the race and his record at the same time while taking home the silver ​medal as a consolation prize. Four years later, Archie Williams became the seventh American to own the mark, running the 400 in 46.1 during the 1936 NCAA Championships. The 400 Record Briefly Leaves the U.S.
Germany's Rudolf Harbig became the first non-American man to own the 400-meter world record when he ran 46-flat in 1939. The U.S. regained a piece of the mark two years later when Grover Klemmer matched Harbig's effort. Jamaica's Herb McKenley then entered the record book twice in 1948, running a 46-second 440-yard race in June, and then a 45.9-second 400 meters in July. The United States took the record back in 1955 as Lou Jones posted a time of 45.4 seconds for a 400-meter race at altitude during the Pan-Am Games in Mexico City. Jones then lowered the mark to 45.2 at the U.S. Olympic Trials in Los Angeles the following year. The 1960 Rome Olympics provided the setting for the first sub 45-second 400, as the Olympic final produced one winner but two world record-holders. American Otis Davis was the surprise winner in 44.9 seconds, while silver medalist Carl Kaufmann of Germany was credited with the same time. Indeed, when officials examined the photo of the finish, Kaufmann's nose was ahead of Davis' as the German leaned forward, but the American's torso was ahead of Kaufmann's. Unlike horse racing, you can't win a sprint by a nose; it's the body that counts, so Davis earned the gold medal. 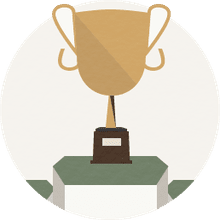 But both competitors were recognized on the world records list. As of 2016, Kaufmann is the last non-American with his name on the 400-meter world record. Adolph Plummer matched the 44.9-second time in a 440-yard race during the Western Athletic Conference Championships in 1963 – the final runner to join the list for a 440-yard effort – and then another American, Mike Larrabee, ran a 44.9-second 400 meters at the Olympic Trials in 1964. Tommie Smith broke the 44.9-second logjam by lowering the mark to 44.5 seconds in 1967. Two more Americans broke the record in 1968, both at altitude. First, Larry James ran the 400 in 44.1 seconds at the U.S. Olympic Trials in Echo Summit, Calif. James actually finished second to Lee Evans in the race, but Evans' time of 44-flat was not recognized by the IAAF because he wore illegal shoes. Evans then won the 1968 Olympic final in 43.8 seconds, in IAAF-approved shoes. Evans retained the mark when the IAAF stopped accepting hand-timed records, although his time was changed to 43.86. His mark stood for 20 years until Butch Reynolds ran 43.29 in Zurich in 1988. 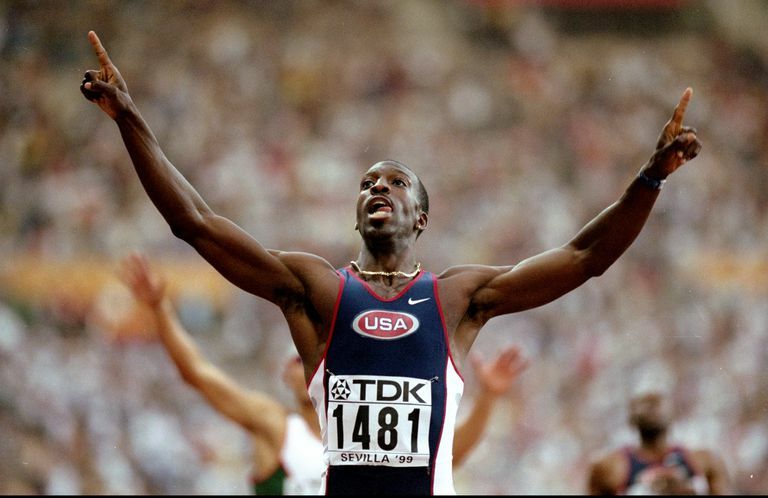 Reynolds held the record for 11 years until Michael Johnson posted a time of 43.18 seconds at the 1999 World Championships in Seville, Spain. Johnson suffered through injuries in 1999 and only made the U.S. World Championship team because he'd earned an automatic entry as the defending champion. But he regained his health in time to earn the gold and an enduring place in the record books. Michael Johnson held the record until the 2016 Rio Olympics, where he broke the record with a time of 43.03 seconds. It was a difference of .15 seconds for the South African star.